Horned lizards were chosen to be Wyoming's state reptile in 1993. 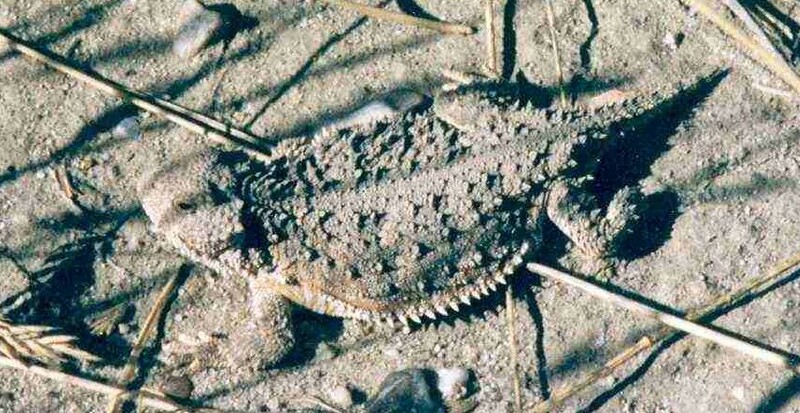 January's species of the month is the horned lizard. This reptile was adopted as the Wyoming state reptile in 1993. When I moved to Wyoming 25 years ago, one of the most exciting things was to find horned lizards on the five acre plot where I lived. I had seen these lizards when I was quite young and my family traveled to Texas. I had not seen them since. For the first two or three years, I would see two or three lizards each year. Then, slowly, they all disappeared. Now I find them on the 140 acre place we have, but not on my five acre lot. One of the reasons we believe the horned lizards left was because we killed the ants in the area. My husband is allergic to ant bites and we did not want the ants around. I now just kill ants that are near the house, but the horned lizards have not come back. 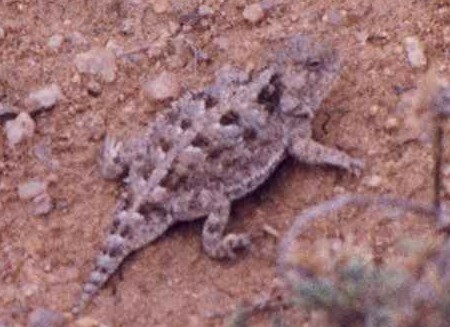 According to the horned lizard fans at www.hornedlizards.org, there are 8 species of horned lizards in the United States. 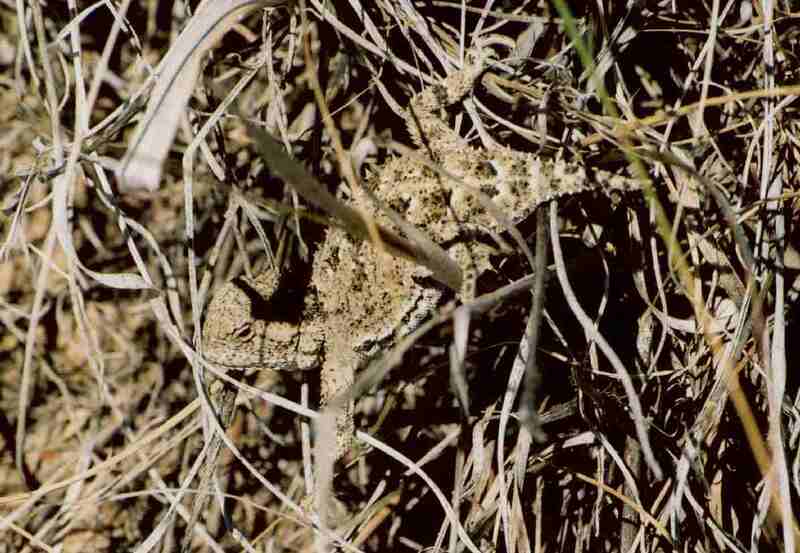 The only one found in Wyoming is the Short-horned Lizard (or Greater Short-horned lizard). The horned lizards that I have observed are about 3 inches in length when full grown. They have a distinct pattern to their crown of head spines. The short-horned lizard has relatively short "horns" but they are clearly distinguishable. They also have spines along their abdomens and backs. Their coloring varies according to the colors of the rocks and dirt where they live. 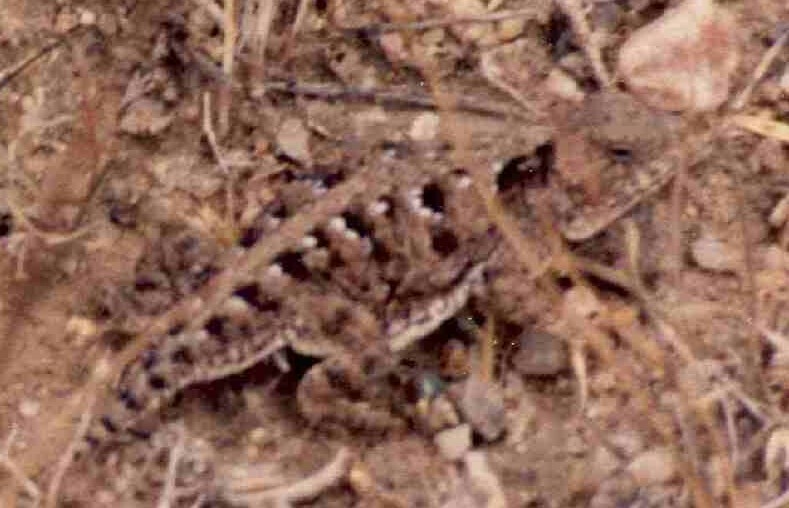 Horned lizards are masters of camouflage. Often one does not see them until they move. These lizards also have little fear of humans. They are slow runners (compared to other lizards) and are easily captured. Horned lizards' main food source is ants. While capturing the critters and taking them home may seem like a fun activity, the horned lizard will likely die because ants are difficult to obtain year round and most people do not want ants escaping if the lizard does not eat the ants. I did find sources for ants for feeding horned lizards, but I do NOT advise keeping the animals as pets. 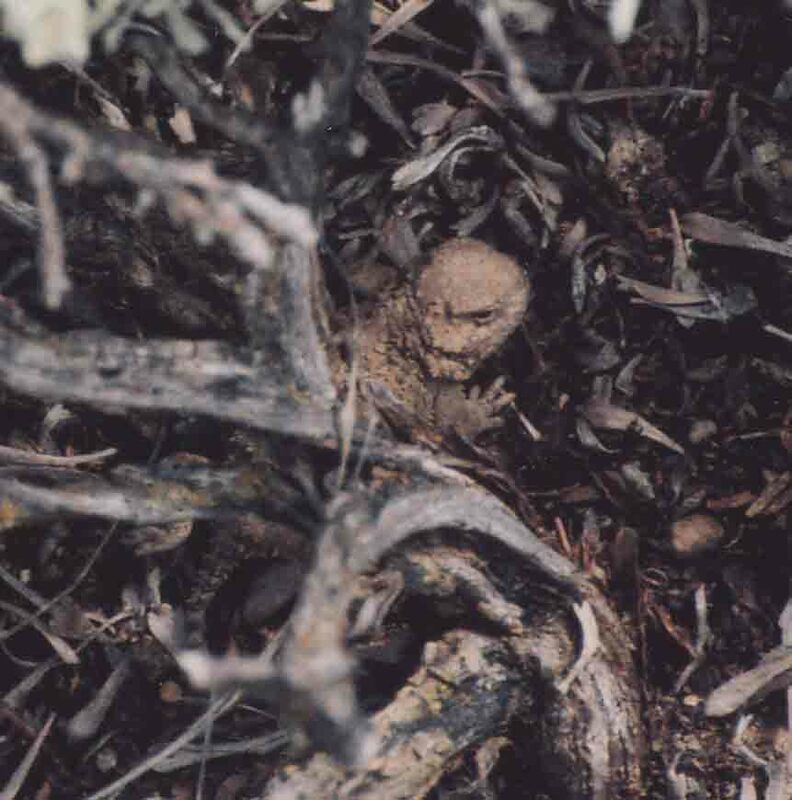 In addition to the difficulty in feeding, one of the causes of decline in horned lizard populations has been collection for pets. This was especially true in Texas. There are other more appropriate lizards for pets, that were breed for said purpose. Horned lizards should be left in the wild. Horned lizards in Wyoming bear live young. The litters can have from six to over 30 young. The young are often food for predators, especially birds. The offspring do not have the horns until later in their lives. 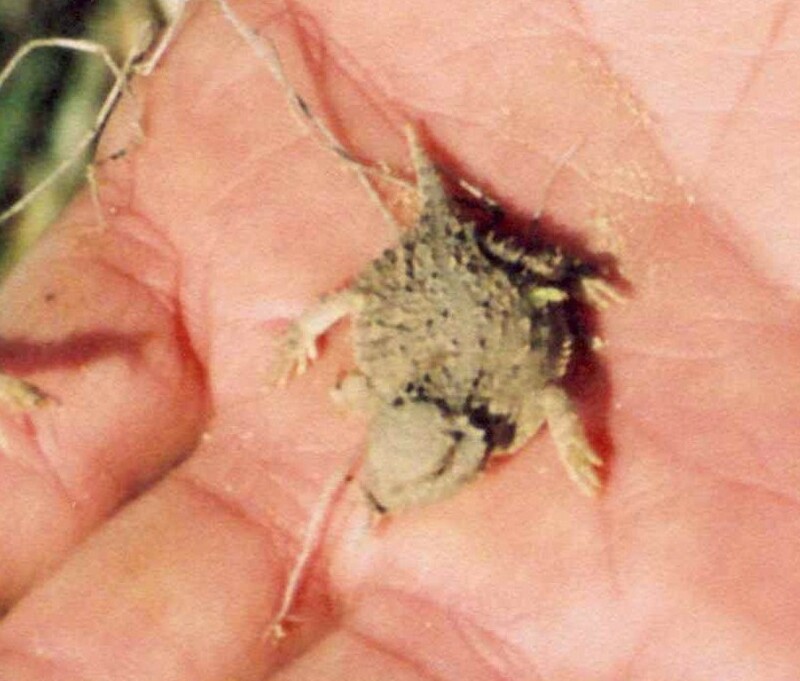 The short-horned lizard lives in sagebrush areas and open spaces without a lot of development. It is possible for the lizards to live among people, but they seem to stick with the more desolate areas in Wyoming. Perhaps it is because of the need for ants for food, or because they rely on camouflage for defense and as the land is changed, they have to adapt to new backgrounds and settings. I read that some grazing and recreational use does not disturb the lizards, but more invasive building, plowing and development does cause the lizards to leave. There have been studies done to try and determine the range and numbers of these lizards. This was one of Wyoming Game and Fish's Species of the Season in 2006. This program encourages people to report through the Game and Fish website how many of the selected species (there are two contests per year and each has different species) a person sees and where they located the animal. It helps with management of species not normally monitored by the state.